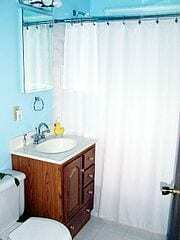 Home Glass Ceiling Social Impact What Bathrooms Have to Do With Being Thankful? I have 2.5. Bathrooms that is. Pretty typical if not a bit on the modest side. How about you? How many bathrooms do you have or how many total rooms, how many clothes in your closet, cars in your garage, flowers in your garden or social events on your calendar? This week America will celebrate Thanksgiving. A holiday for us to come together and count our blessings. So what do our bathrooms, flowers or even ideas have to do with Thanksgiving? We truly are very blessed even if we don’t feel rich. When almost half the world lives on less than $2.50/daily, it’s not hard to admit our wealth. And even though wealth can be justifiably earned through hard work and sacrifice, having more often just complicates things. If you move to a home with a bigger yard you will most likely have more yard work to do or pay someone to do for you. Yes, you will have more flowers, just like you will have much more space in a larger home but then you have more rooms to clean; more bathroom, well you get the idea. A lot of our time, energy and money is spent on taking care of the “more” we have. Sometimes we have little time to enjoy the things that are free: ideas, companionship, nature, silence, smiles, hugs, belly laughs, forgiveness, unexpected surprises, a good cry, acceptance, seasons changing, promises kept and countless other things we take for granted daily because we are too busy tending to our “more”. It’s not really about the yard, the social commitments, the clothes or even the bathrooms. It’s about the things we accumulate and add to our stash that often just end up taking up more commitment than we want them to because of course the more we have, the more we have to take care of. I do it and maybe you do it too. I add to my “collection” of things only to discover there is now one more thing I need to give attention. More clothes=more laundry, more cars= more repairs and maintenance and yes, more bathrooms= more places to clean. Bit by bit, I realize I need to begin to minimize things in order to have time and energy to do what really matters, whether in my family, my career or my personal life. So, when I sit down to Thanksgiving dinner this year, there will be plenty of food and all of my closest family to enjoy but I will set aside the blogging, the writing, the speaking, the coaching, the marketing and even the cleanest of bathrooms to not miss a minute of time to make memories and be grateful for every blessing that ever came my way…many so undeserved. Do you ever think your “stuff” takes up way more of your time than you want it to? What’s your holiday going to be like and by the way, I AM very grateful for my reader who bless me by giving me their time and thoughts. Now…Go Have a Wonderful Thanksgiving and we’ll talk about what to do with all that “stuff” we added to our lives next week.